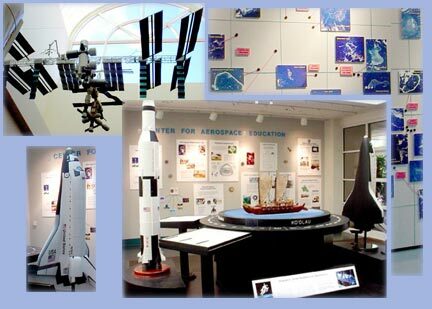 The Hallway of Discovery in the Hale 'Imiloa building features displays, models, posters, specimens, and information on all areas of aerospace, as well as biology and earth science. The displays change periodically to spotlight different subjects and events. 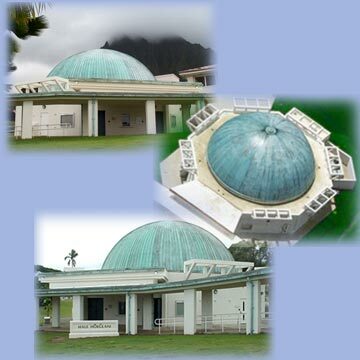 On permanent display is the Seafarers to Spacefarers exhibition, which includes interactive kiosks where visitors can learn about Polynesian wayfinding/navigation and constellations. 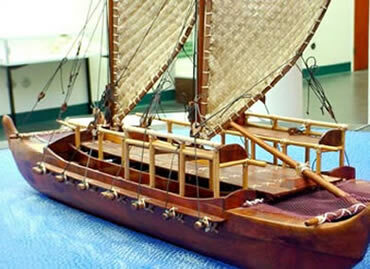 The display also features large scale models of the Apollo/Saturn V rocket, ISS, Shuttle Orbiter and the Hokule'a double-hill canoe.